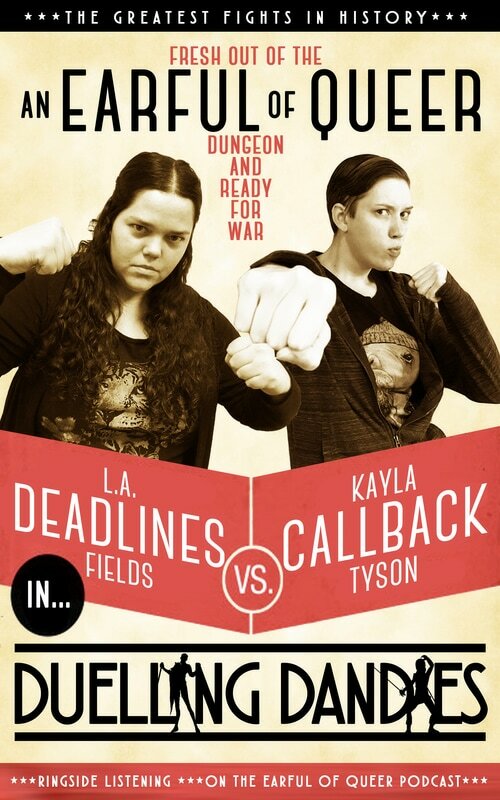 At the end of every episode we open the Earful of Queer dungeon and let loose your hosts L.A. 'Deadlines' Fields and Kayla 'Callback' Tyson, in which the stately homos of history are pitted against each other to see who comes out on top in a cage match both figurative and literal. Yeah, okay, fine. Let's let them explain. Who was the better drunk? Bisexual biopic! Who was crazier? African American Men of Letters: who's got the sexiest language? Who put on the best straight-acting show? ​Check back for more soon!